Like all great accomplishments, the Center began with a vision. In 1968 there wasn't any such facility in Dover, but as the older population increased, a group of volunteers taking a class on aging saw the need for just such a gathering place. 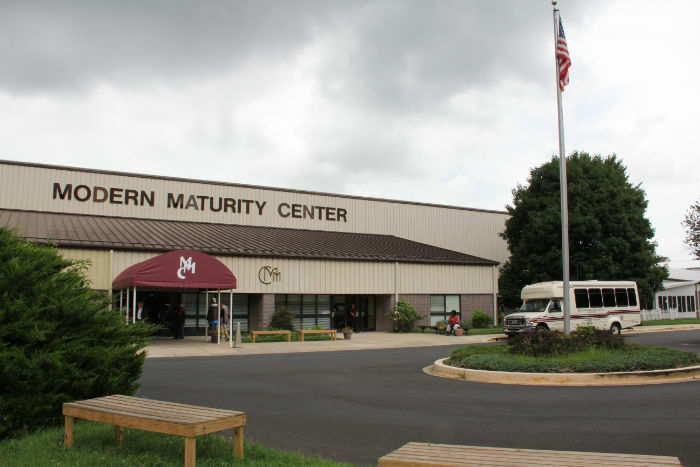 On March 4th, 1969 the Modern Maturity Center was officially incorporated. The center had its beginnings in a rented church at 18 Greenhill Avenue. Less than two years later there was a need for a larger building, and in the fall of 1970 a house was purchased at 2 South Bradford Street. Beginning with vision, a dedicated Board of Directors and an untiring staff began the task of transforming a small senior Center into what was to become the largest such facility in Delaware. Step by well planned step, the vision became a reality. In 1972 the Center received funding through the Division of Aging for its first county-wide program, Telephone Reassurance. This was followed by funding for the Senior Volunteer Program, RSVP, and MANNA, the Center's nutrition program. The Golden Eagle Craft Shop, Friendly Visiting, and Home Repair soon followed. During its four-year growth period between 1969 and 1973, services became the Center's focal point for older adults. Membership was growing and now the house on Bradford Street was not large enough to comfortably accommodate the needs of all its members. In 1976, the same building at 18 Greenhill Avenue, where the Center first began, was purchased, and in 1980 it was renovated and enlarged to include a second story. A countywide employment program was added to services sponsored by the Center, followed by Case Management and Adult Day Care. By 1984 the Board of Directors once again realized that still a larger facility was needed to meet the growing needs of the ever-increasing membership. Six years later, in 1990, the present basic structure on Forrest Avenue was completed. "But the vision didn't stop there. At the Center's 30th anniversary celebration there were groundbreaking ceremonies for a new three million dollar annex, including an additional two hundred and fifty parking spaces. The annex expanded the day care program "Daybreak." With its emphasis on wellness, the Center added a thirty by fifty-five foot therapeutic and recreational swimming pool, along with a fitness center. Today, the rest of the new space is multi-purpose and provides areas for programs such as line dancing, large assemblies, and special events. The current Board firmly believes that the organization's main purpose is to provide services for seniors, with the goal of allowing them to age in place. To this end, in 2005, MMC opened a medical facility on their campus that houses the Hope Medical Clinic, which provides free medical care to those over 18 who cannot afford health insurance and who do not qualify for Medicaid or Medicare. The facility also houses Dynamic Physical Therapy and Generations Home Health services and a medical practice - Lifespan Medical Services. In 2011, we further expanded this facility to provide more space for our adult day service program, offices for the Caregiver Resource Center, expanded space for the Hope Clinic to provide minor day surgery and new space for Lifespan. In 2010, we partnered with the University of Delaware to become the Kent County campus for the Osher Lifelong Learning Institute. The year 2011 also saw the introduction of our Early Memory Loss program - Front Porch - the first of its kind in Delaware providing support for those dealing with the early stages of Alzheimer's and other memory disorders. 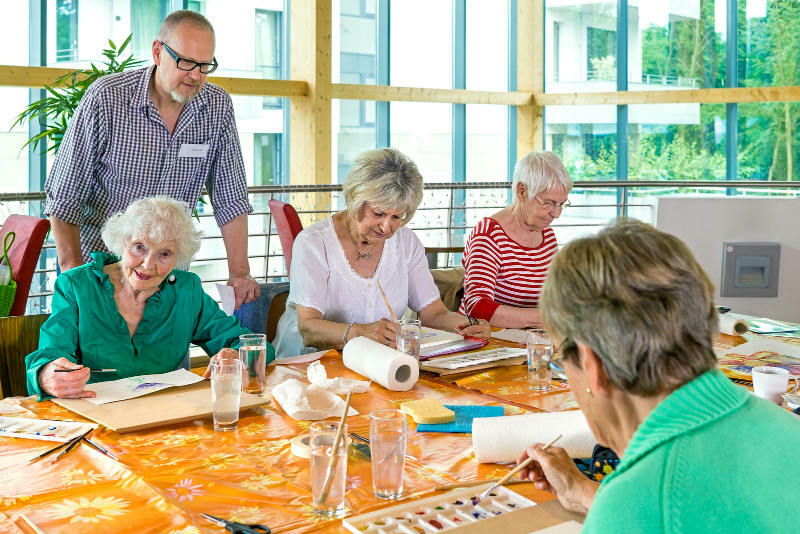 The baby boomers are at the threshold of switching titles and becoming seniors themselves. With senior housing being located on the adjacent property, the Center is looking as further growth in membership. A direct link-up will make it easier for the residents of the new complex to avail themselves of all the services at the Center. From its humble beginnings, the Modern Maturity Center has always aimed to serve the needs of all senior citizens in Kent County. It is a place where people have come to relax and enjoy themselves; a place where they have formed friendships and found solace and safe haven. The Modern Maturity's success and popularity can be attributed to the many caring people working harmoniously together. From Board of Directors to the core of dedicated employees, the RSVP'S thousand volunteers who give selflessly of their time, and most of all the thousands of members, the Modern Maturity Center is a thriving, multi-faceted organization with always an eye toward the future.